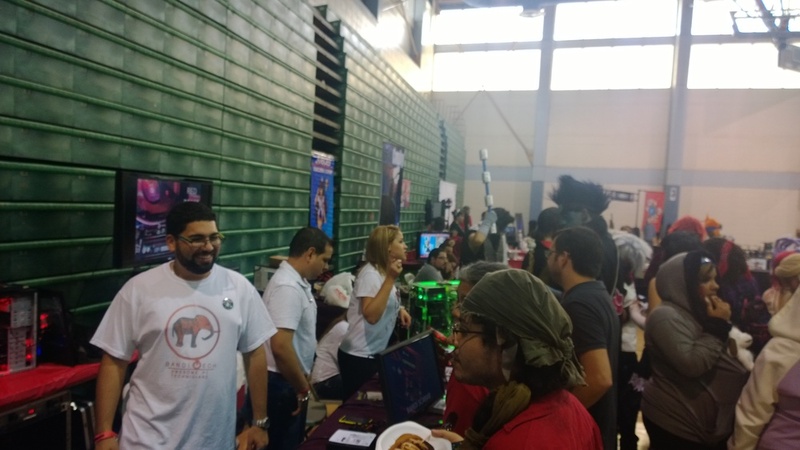 Gracias a todos los que participaron en el Festival Kaisen y nos visitaron en nuestro kiosko. 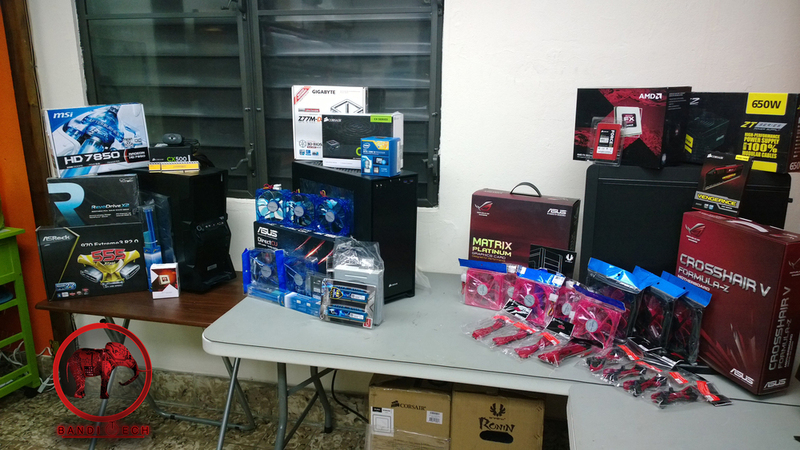 Bandi Tech presento mas de su linea de Signature PCs o, como son conocidos popularmente, Gaming PCs. 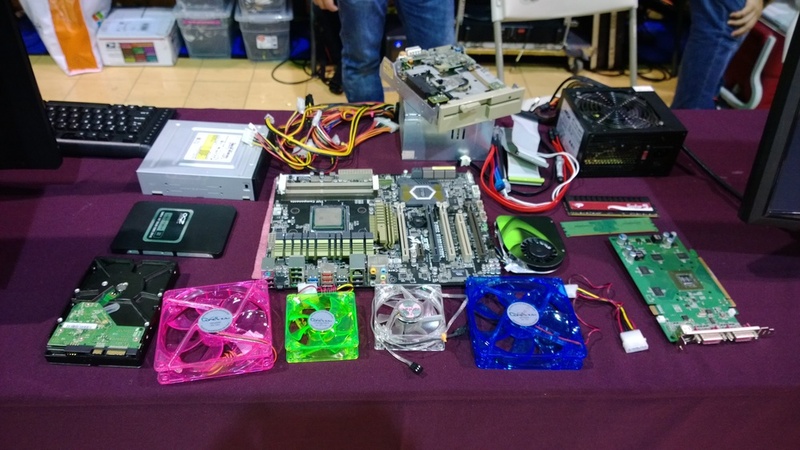 Si no fuiste al Kaisen y te perdiste la exhibición de las Signature PCs, puedes seguir los enlaces siguientes y ver las PCs que estaban presentes. Another first for the Crimson Oliphaunt. Our official vinyl decal is used to decorate this PC's water block. Our next Signature PC is one like no other. This is our first time we've ever taken a PC case to an auto body shop and have its chassis painted. We didn't just paint it in any color, we used BMW's Gold matte paint. Aside from that awesome paint job, there's a lot of unique touches we gave to the Crimson Oliphaunt like our very own logo painted onto its water block and string LED strips through out its frame. 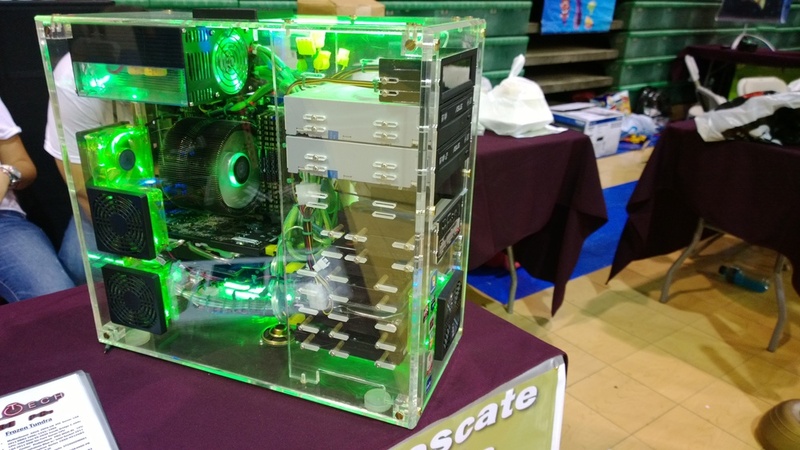 If you love and appreciate custom PCs, this is a must see. 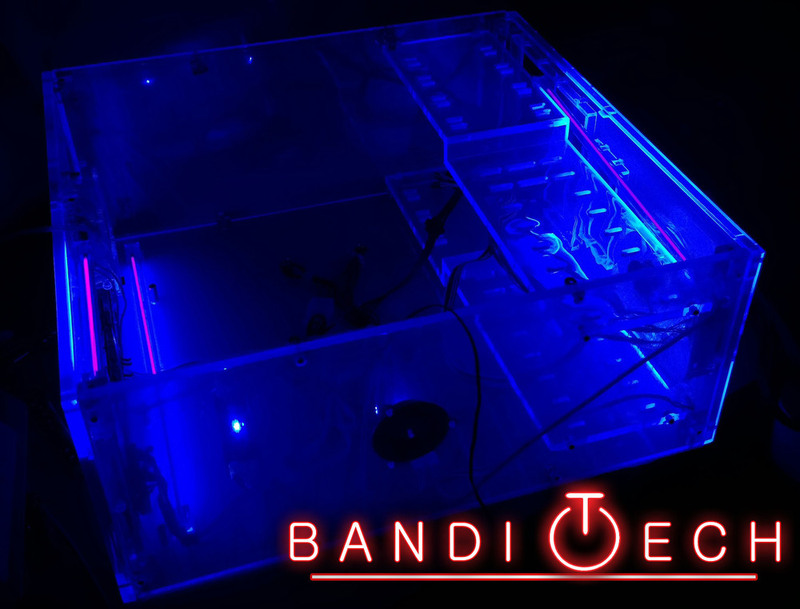 With this computer, we've raised the bar here in Bandi Tech and what's coming up next will keep surprising you. Until then, CLICK HERE to drool on the official photo gallery. PS - Don't miss the clever introduction our very own Paul Bangdiwala decided to write out of inspiration for this computer, if you love Lord of the Rings and Jurassic Park you'll totally get it, if not... ... we shouldn't say. Enjoy. VADALI MYTH - no longer a legend. Why is this PC called the Drunken Cow? Have you seen the Gateway logo? Yup, that's it. Basically, we took our Bandi Tech goodness, mixed it with the good parts our cow had and VOILA! "The Drunken Cow" was made for a friend of mine who was just tired of his computer looking like a block of metal sitting under his desk. Also, the initial configuration of the PC was good for the time it was bought, but... continue reading (click here). The Sith Lords of the Galactic Empire told us that they needed a gaming PC with a better GPU than R2-D2... that wasn't hard to do since R2-D2 was made in the 70s, nevertheless we sooth to build this PC. 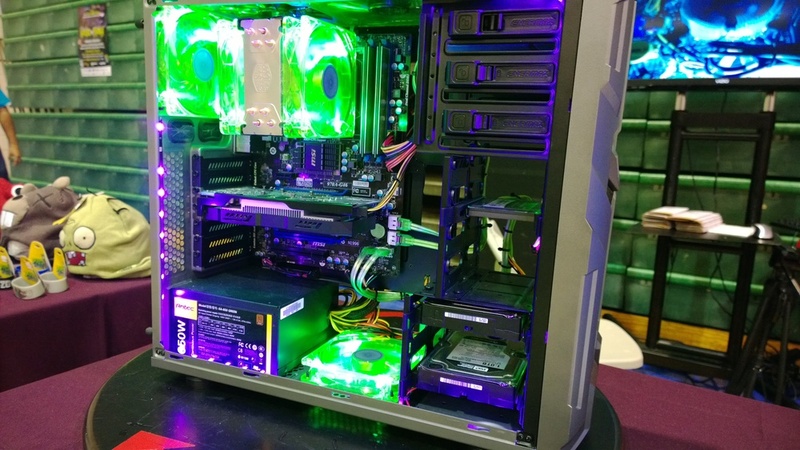 With red lighting and LEDs this is sure to make any Sith Lord proud while Pwining newbs on whichever game they use to train their Dark powers. Well, if your not into the star wars talk, just click on ahead and find out the specs we used for this system. Its our first with an AMD 9590 FX CPU, which comes with the AMD original heat sink, which is actually a closed loop water cooling system since this CPU run at 5Ghz right out of the box! 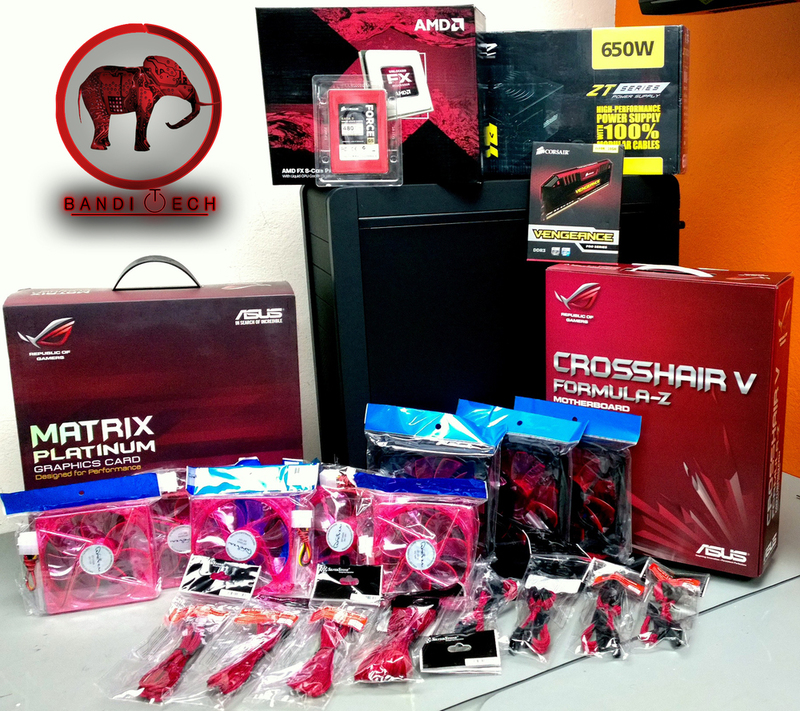 Also this build features 2 items from Asus' Republic of Gamers series, the motherboard and the GPU. So check 'em out, leave a comment here or on facebook, and thanks for sharing! The Bandi Tech Triple Build weekend has created its first offspring: the Vadali Legend. Vadali meaning "Blue" in Gujarati, Legend since for us a computer with the incredible speed at its price point, it a real legend. Don't let a low price point fool you, the Vadali Legend plays League of Legends on extreme graphics and its boot time is just shy from 20 seconds. With incredible SSD read and write speeds, this computer will serve its master well for the coming years. We at Bandi Tech our always sad to see our children go, but we know she will be in good hands. Also if you want to see Vadali Legend, don't forget to go the Kaisen anime fest this weekend on Cataño's Coliseo Cosme Beitia. For more information go to our facebook page or Kaisen's. 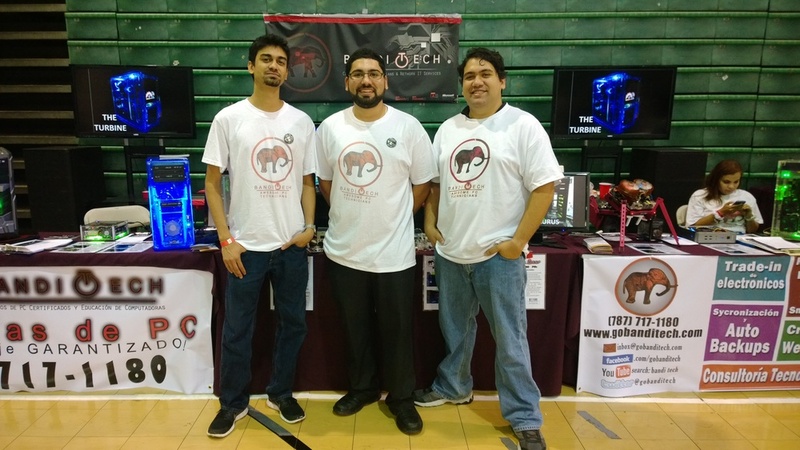 Tomorrow we are going to start building 3 gaming PCs that will be featured on next weekend's Kaisen anime expo. On the far left we have a blue themed PC with an AMD Quad Core CPU, an AMD Radeon HD 7850 GPU, 8GBs of RAM, 240GBs PCI-e SSD on a 970 Chipset based motherboard. In the middle, another blue themed PC inside a beautiful aluminum Corsair case; features an Intel Ivy Bridge Core i3 CPU, an AMD Radeon HD 7850 GPU, 8GBs of RAM, 240GB SATA III SSD on a Z77 Chipset based motherboard. 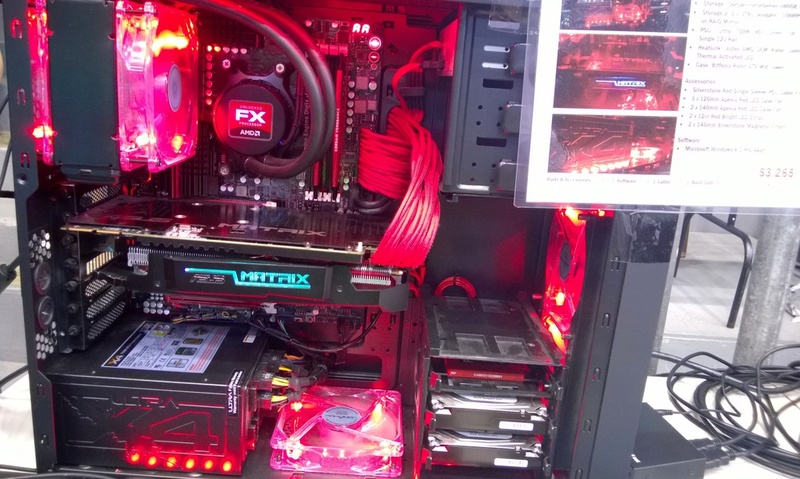 Finally, on the right, one of our most powerful builds yet, is a red themed PC inside the Bitfenix Ronin Case. It features the most powerful AMD CPU till date, the FX-9590 5Ghz CPU with an obligatory AMD stock water cooling system. Next our GPU is the R9 280X which just came out to market, the computer will also feature a 480GB SATA III SSD with a RAID Mirror on 2 x 3TB 7200RPM HDDs, 16GBs of RAM, all on the powerful Asus Crosshair V AMD 990FX Chipset. So that's it guys, stay tuned in to see our gallery when we finish and keep it here! Bye for now! That's right everyone, we are about to start our new course in app development. First will be the Windows Phone OS since it's the one we use the most. This will be our first app, so it might not be the best one of the bunch, but just beware when we really learn how to make use of the development tools given to use. Additionally, if any of our readers out there would like to make an Android or iOS app for Bandi Tech, please contact us. Go to the "Contact Us" tab and use one of the many ways we have for contact. Take care guys! 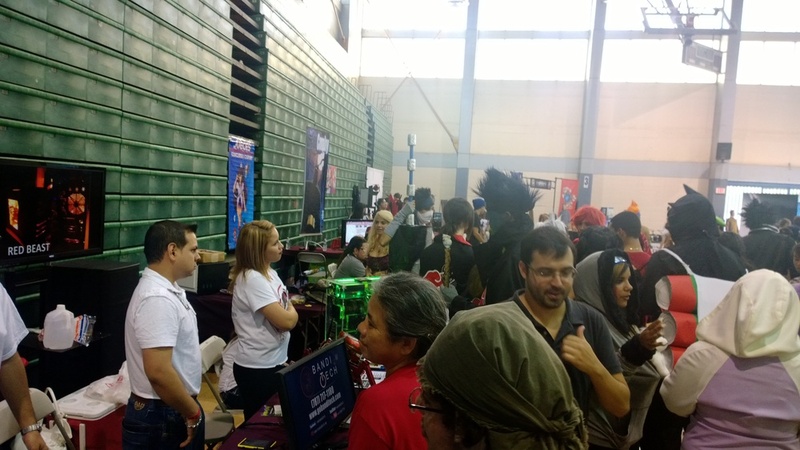 We were at the Caribbean Entertainment Expo an anime fest at the Pedrin Zorrilla court. 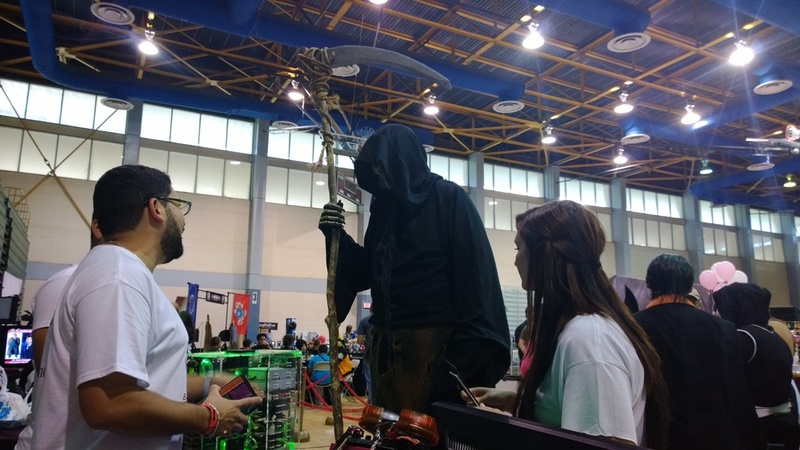 It featured anime, cosplays, contests and best of all our Bandi Tech booth with SUPER COOL GAMING PCs! 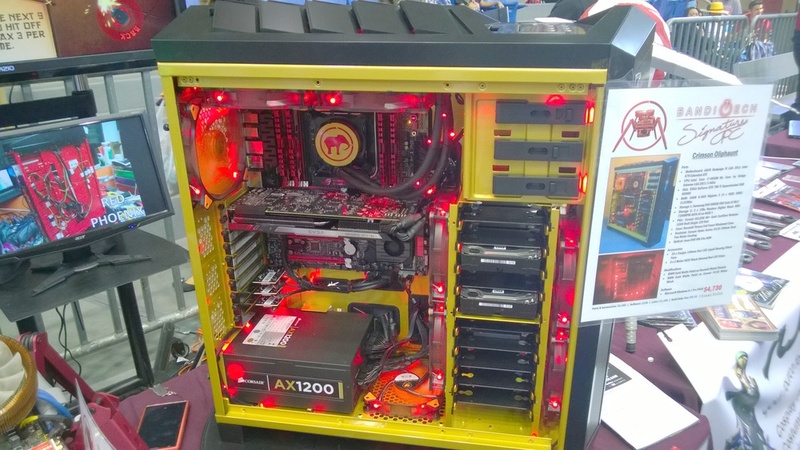 Check out some of our PCs were had in our booth, if you want to know more of them, they are all featured in our "creations" tab. Thank you all to those who were there! As you may have read on our Facebook page, we have started on a server build. 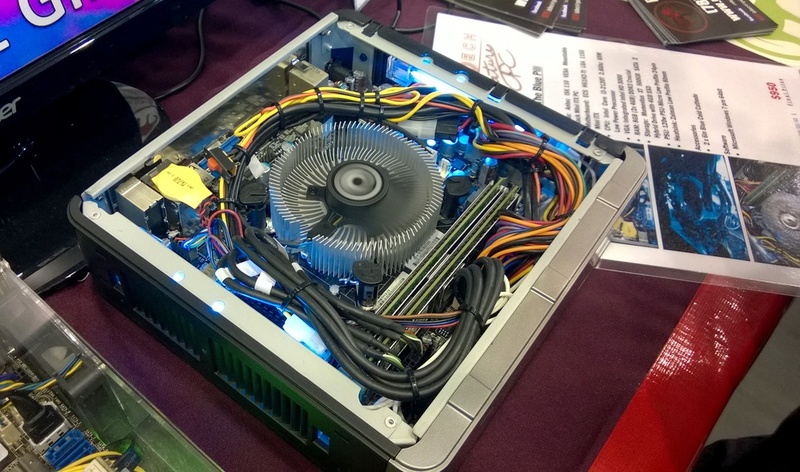 No, its not going to be a real server but it does have ECC RAM and a Xeon CPU, so... What's the idea with it? Well, believe it or not, we are creating a video editing computer to a customer of our who works in the film business. Click HERE for more info and picture. In other news, we are preparing for our second radio appearance. Remember guys, go tune into 92.5fm on Wednesdays at 8:00pm to 8:30pm. Click HERE for more info on radio. Tecnología Hoy ha salido al aire! Hoy a las 8pm acaba de arrancar un nuevo programa en la radio de Puerto Rico. 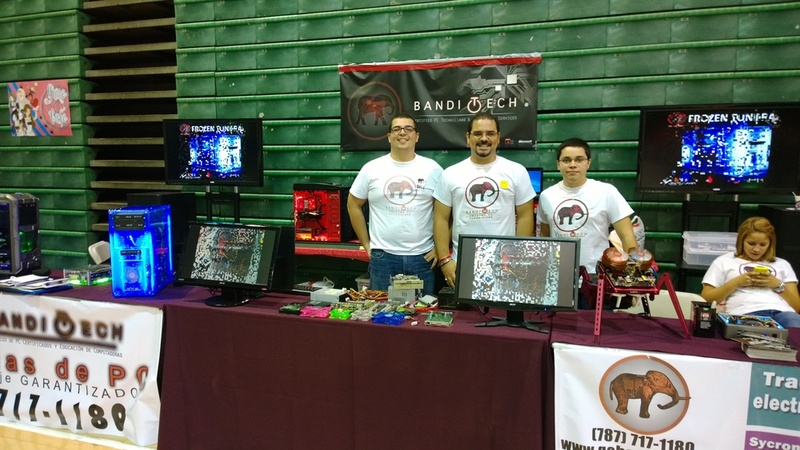 Paul Bangdiwala, Eliel Negrón y Graciela Guardiola son Tecnología Hoy. Usando sus conciemiento y deseos de educar al público, ellos te emparán de la información tecnológica que necesitamos hoy en día para este mundo moderno. 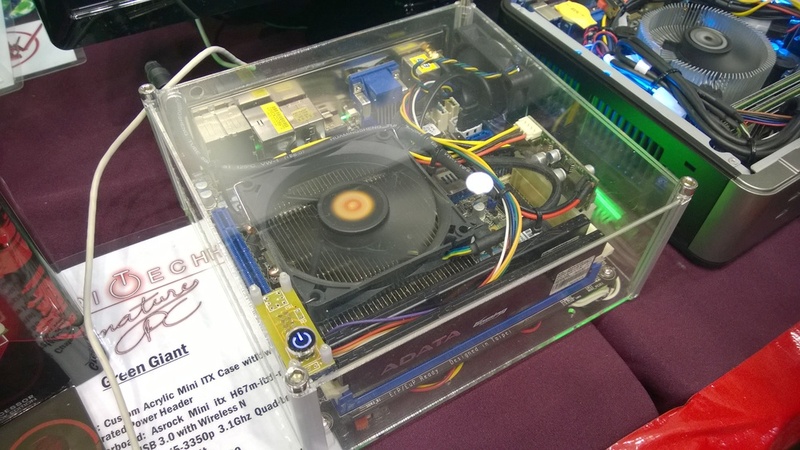 This is our newest Bandi Tech Signature PC we created before we left. We need not say our client is a fan of The Hulk, so we did this for him... I think we nailed it. 2. We even took time away from the radio, but we will be back this Saturday @ 8:00-9:00am on 92.5 fm Radio Oro. radio show... wait... was that too specific?